Before the first day of cooking school is over, chefs-in-training learn about the five basic tastes: sweet, sour, bitter, salty, and umami. Then, they set about learning ways those tastes can be combined to form uniquely contrasting sensations. 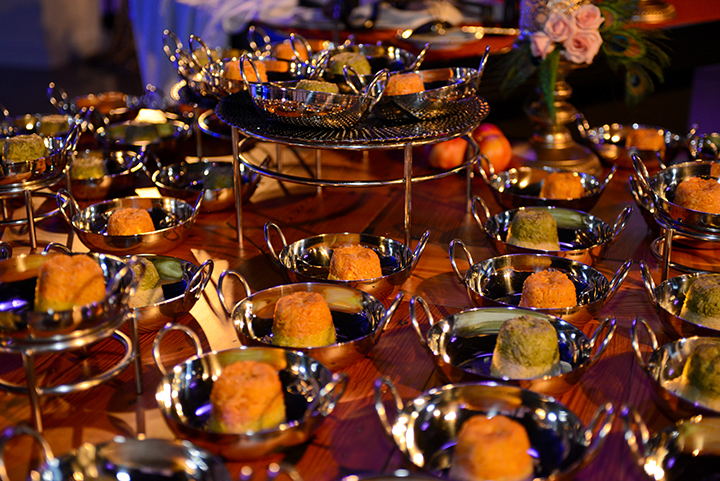 For Kendall Collier, one of the co-founders of A Divine Event, Atlanta, GA, her acceptance of the Michael Roman Lifetime Achievement Award at CSES2016 was a moment best described with a word taken from the culinary vocabulary, one that describes happy and sad feelings happening at the same time: bittersweet. 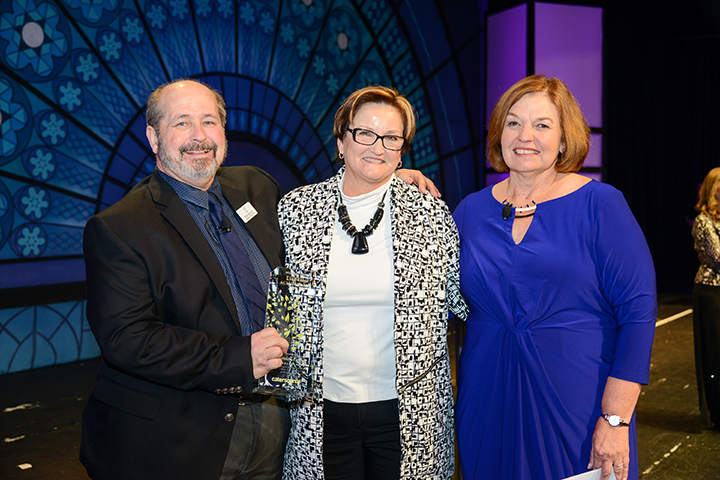 Collier, whose business partner of 29 years, Teresa Day, died last October, says she felt “overwhelmed” when receiving the award, which was presented to her by Catersource’s Education Director, Linda West and Brand Director Ron Bigley. “I have met so many fantastic people who have inspired me over the years, so to think that I was singled out for this honor is very special,” she says. Collier’s grown children, Libby and Jesse, curated photos for a tribute video shown during the award ceremony. It told the story of two women who had been inseparable since they met as young brides in 1971, and the successful Atlanta-based business they created, A Divine Event. In 1987, they purchased their first special event facility, Atlanta’s Flint Hill, growing their off-premises catering and event design business and eventually purchasing event facilities that include Primrose Cottage, Little Gardens, The Atrium, and Cloverleaf Farm, where food for the catering operation is grown. It’s an enterprise that Collier is now running without the help of her dearest friend. “I miss her every day,” she says. Collier has held leadership roles in a number of industry groups, including the International Special Events Society and the International Caterers’ Association, where she where she helped in the formation of the CATIE Awards and the Culinary Learning Journey program. “Belonging to professional associations kept Teresa and me fresh and on the cutting edge even after more than 25 years,” she says. The two women won many awards, including the Catersource Southern Region ACE Award. 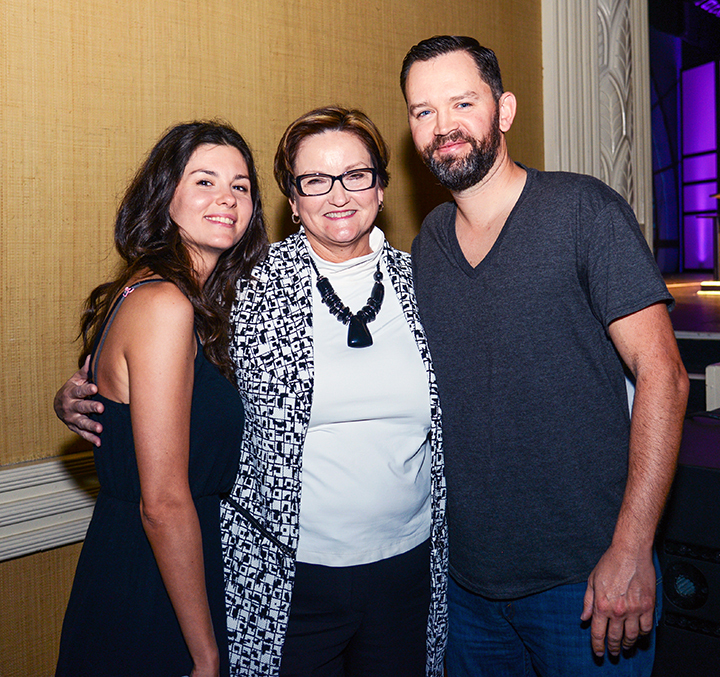 “Teresa and I loved this industry, and we always wanted to introduce new approaches and ideas,” Collier says. “We were ahead of new trends. Back in the ’80s, we were already hanging chandeliers from trees, and in the ’90s, we went to a welder with an idea and created vertical buffets, which we ended up selling to hotels.” One of the most memorable events in her career was when the Art of Catering Food (AOCF) culinary conference was held in Atlanta, GA, A Divine Event’s hometown. 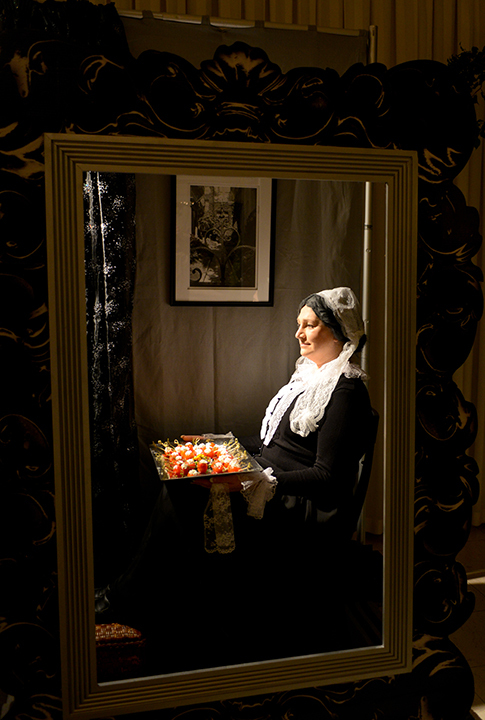 A la cART, an artful presentation of food, included a cocktail hour with tableaux vivant art scenes such as Girl with the Pearl Earring, Whistler’s Mother, and American Gothic. “Models stood in large picture frames, dressed like the paintings, and held out hors d’oeuvres to passing guests,” Collier says. At AOCF, the team also presented Rijsttafel, a rice table concept that originated in the Netherlands, in which small Balti bowls of rice are offered with a quantity of different curries and sauces as toppings. “Ken Barrett of the ICA Culinary Council said he made a great deal of revenue from implementing just that one simple idea,” Collier says, of her installation. A Divine Event is the division of the company that provides all of the catering and event décor services for company-owned and other venues. The business serves more than 1,500 events each year, has an annual revenue of more than $12 million and employs more than 100 full-time-equivalent employees. Collier estimates they’ve catered more than 10,000 weddings since the business started in 1987. “And we’ve seen just about as many bad bridesmaid’s dresses,” she jokes. For Collier, the biggest obstacle right now is adjusting to the loss of her friend and business partner. “Fortunately, I have a fantastic team of people in my inner circle, many who have been here for as long as 20 years,” she says. As much as she loves her business, Collier says she loves travel as much, or even more. “On the 20th anniversary of our business, Teresa and I packed up for a month, rented a villa in Tuscany, and ate our way through Italy,” she says. Having toured China and Tibet, she was booked to explore Vietnam and Cambodia last fall but cancelled because of Teresa’s illness, “so I will probably try to get there soon,” she says.